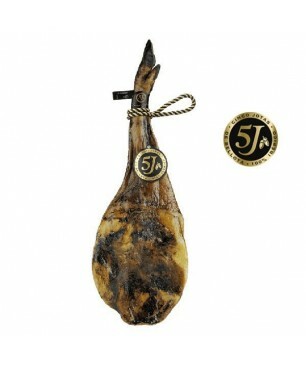 The Cinco Jotas (5J) Jabugo shoulder Ham 100% ibérico bellota pata negra comes from the area of Huelva. The pig has been fed exclusively with acorns and natural pastures. Its curying period is long, which makes it of a very high quality. These hams have been cured in the area of Jabugo (Huelva) where the hottest summers make this ham of an intense flavor and an incredibly juicy texture. The meat is of intense red color and the fat is soft and transparent. 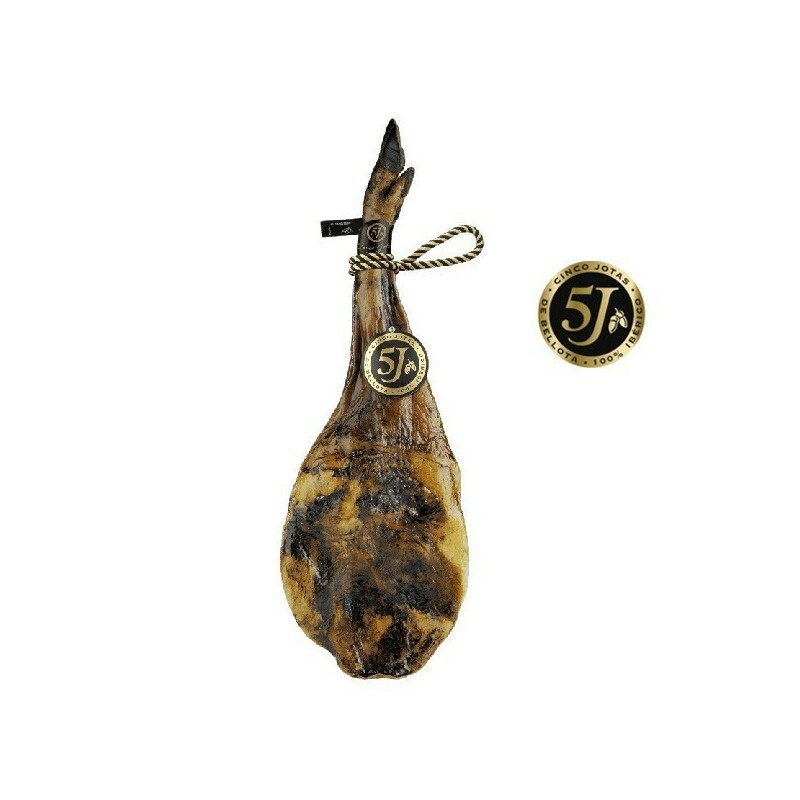 The Cinco Jotas (5J) Jabugo shoulder Ham is of an exceptional quality, unique among the 100% Iberico bellota pata negra. The caña (shinbone) is thin, with an inferior percentage of fat infiltrated than other bellota hams, and it has a fruity strong aroma. 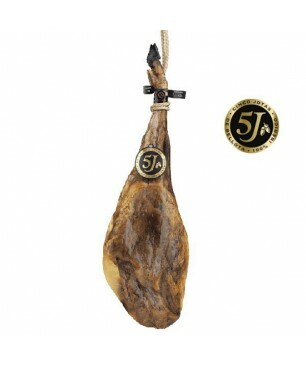 An exceptional 100% pure Iberico Bellota shoulder ham! Ingredients 100% Iberico bellota shoulder, sea salt, antioxidant E-301, acidity corrector E-331 (iii) and preservative E-252.